Larry French, Griffon Aerospace Owner and CEO/CTO, along with key personnel, break ground on the company’s headquarters expansion. 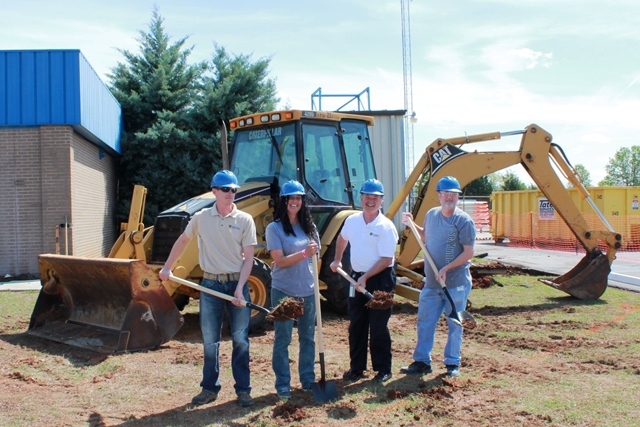 Griffon Aerospace broke ground on a 3,000 SQFT expansion of its Madison, Alabama headquarters. The growing small business is investing in a building expansion which will feature new office space, lobby, and conference rooms as well as upgrades to existing office space and electrical engineering laboratory. Construction is expected to be complete in the Fall of 2017. Artist’s rendering of Griffon Aerospace’s headquarters expansion.